The Premium Headphone Bag from Reloop gives DJs, enthusiasts, and live acts the opportunity to protect their headphones from unwanted drops, liquids, and dirt, as well as damage from sharp objects, making it a smart solution for carrying your gear while touring. The soft inlay stores the headphones with the use of cavities that fix the headphones tightly. Reinforced edging offers solid construction. 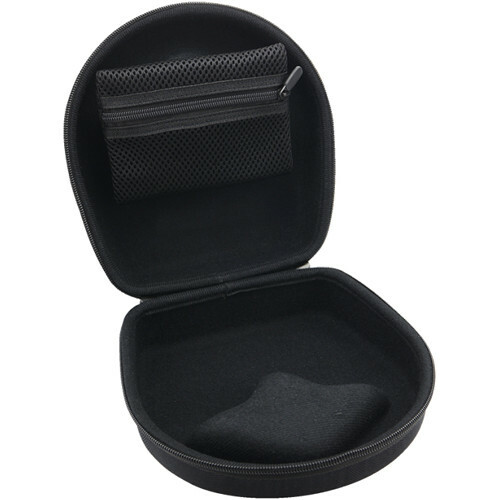 In addition, a touch-tab fastener bag for storing USB sticks or adapters is also included. Box Dimensions (LxWxH) 16.2 x 10.2 x 6.8"